Looking to find balance and over all well being? We are dedicated to partnering with you to assist you in achieving a state of wellness and healing through various holistic methods such as Acupuncture, no needle allergy treatments, herbal medicine, nutrition and lifestyle coaching. 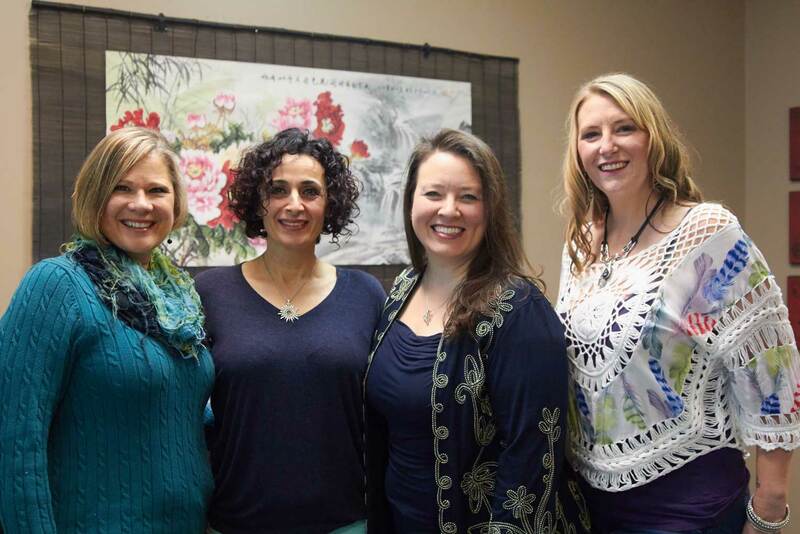 Be Zen Holistic Wellness Center was founded by our acupuncturist, Audra Whatley in 2015.
needle, no supplement allergy treatment and in 2016 obtained her Post Graduate Certification in Functional Medicine. Early in 2017 Bonni Wildesen-Hise joined our team bringing her expertise in Holistic Nutrition and healing with whole foods. This combination allows us to offer a unique union of western medical testing, whole food nutrition and eastern medical philosophy that creates a powerful experience of health and wellbeing. contribution to the team offering inner healing and emotional work to enhance the journey to health and wellness. essential oils to support and facilitate brining your body into balance naturally. We feel it is our calling to create an atmosphere of peace to support all aspects of healing the whole being. It is essential for us to create relationships that support health and wellness while nurturing a balance of mind, promoting a connection with spirit and naturally allowing ease and grace of the body. When I went in to see Audra, I was in alot of pain. I had just pulled my back from lifting something that was too heavy. In the middle of my session, I totally relaxed and went to sleep for what felt like hours. I woke up totally relaxed – more so than usual. I walked away with a greater amount of movement and decreased pain. In fact with that and ice, it was the only thing that gave me relief. I would recommend anyone to Audra – she is highly knowledgeable and passionate for what she does. She really cares about her clients and wants to make a profound difference in their lives. Audra got rid of my allergies!! I saw her for an allergy to fresh apples and bananas that started in adulthood. It's now 4 years later and still no swelling/itching when I have my favorite snacks!